Even as Moscow’s ties with the US and traditional energy partner EU remains strained over the Ukraine crisis, Premier Dmitry Medvedev said on Monday that Russia will step up its presence in energy hungry Asian markets. “It is possible to improve the conditions for cooperation with these countries, which we have been building up for years,” Medvedev said at a meeting on the development of cooperation with the region. He stressed that although China remained Russia’s key partner in the region, it was necessary to pay attention to other countries. “We need to have a close look at what potential possibilities for cooperation have not been exploited yet,” the prime minister said. “I think it is rational to elaborate a portfolio of specific projects which will take into account specific aspects of these countries and specific features of our own territories that will take part in these projects, to diversify our economic activity to the fullest extent, engage all possible partners and investors in cooperation. This is even more efficient given some difficulties we now face at other markets,” he added. Russian energy giant Gazprom is currently negotiating a long-term agreement with China to supply it with an annual 38 billion cubic meters of natural gas. 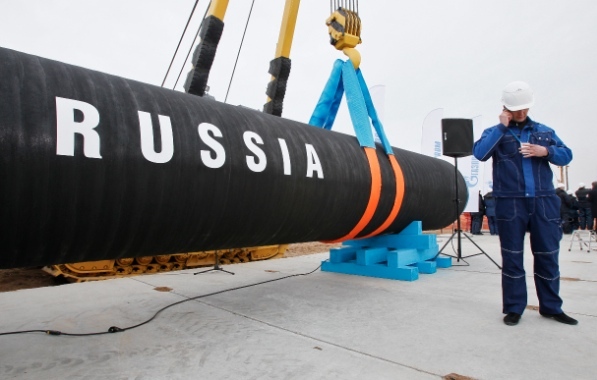 Earlier on Monday, Russian Deputy Energy Minister Anatoly Yanovsky announced that the contract was almost finalized. The announcement of the deal is likely to be made during President Vladimir Putin’s visit to China next week.